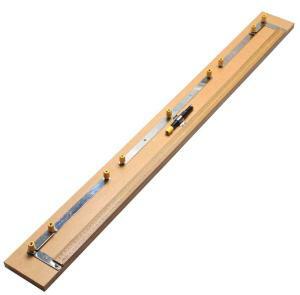 Bridge has broad, heavily plated brass strips mounted on polished hardwood base. Terminals, mounted on five plated brass strips, provide means for connecting resistors and a voltage source. These strips are separated by gaps that can be eliminated (as required) by using two further brass strips. A robust “jockey” (moveable contact) with lead is supplied for taking readings on the wire. A sprung clip provides convenient storage for the jockey. Ordering information: Required but not included is a power supply and a galvanometer.